Where and when during childhood and adolescence do people acquire the foundations of financial capability? The Bureau of Consumer Financial Protection (BCFP – Formerly the Consumer Financial Protection Bureau) researches the childhood origins of financial capability and well-being to identify those roots and to find promising practices and strategies to support their development. With Money as You Grow Bookshelf, children’s storybooks can help parents and caregivers of young children build key money skills. As families read together, they can use play and fun activities to help young children build money habits. And parents can use these activities to talk with children about money and household decisions. Money as You Grow. Website for parents and caregivers. No need to be a money expert – the tips and activities here can help children’s money skills, habits and attitudes grow. See if a child is reaching age-appropriate money milestones, then find activities and conversation starters that can help the child stay on track. Youth financial education. Website for teachers, administrators and community leaders who help students build financial knowledge, skills and habits. The tools and resources show recommended policies and practices for K–12 financial education. Building blocks to help youth achieve financial capability: Measurement guide. As a follow-on to the 2016 “Building blocks to help youth achieve financial capability,” this report provides researchers, program leaders and financial education stakeholders with a means of assessing young people’s progress toward achievement of the financial capability milestones that were outlined in the original Building Blocks report. Get the most out of reading time with your child. 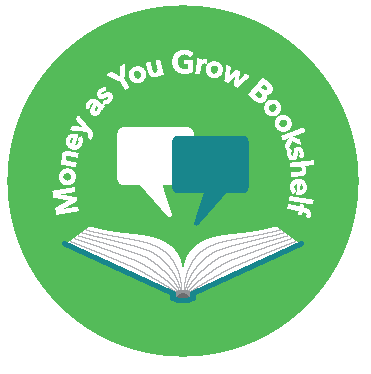 Money as You Grow Bookshelf lets you build on the time you may already be spending on reading together, and helps you bring money topics to life through story time.